The Secret Service has moved its command post out of Trump Tower in New York City after a lease dispute, the Secret Service confirmed to CBS News' Mark Knoller on Thursday. The command post had been operating one floor below President Trump's family's apartment. The Secret Service said the move will not affect security. 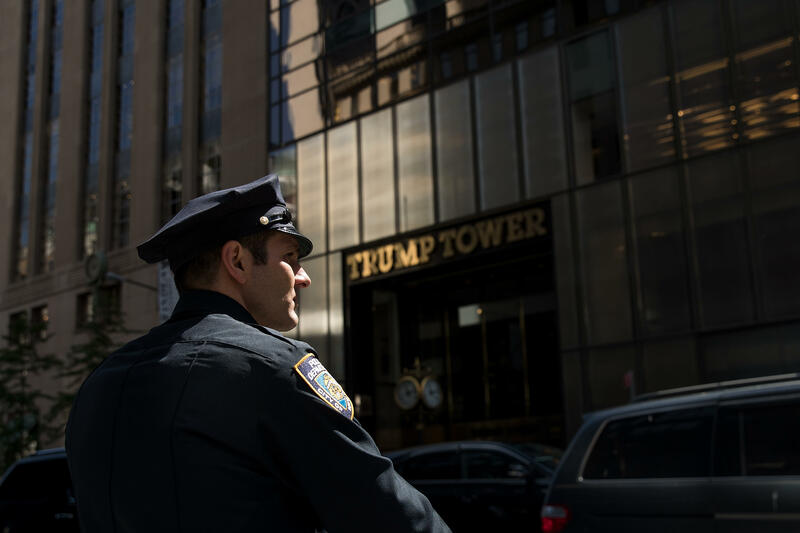 The U.S. General Services Administration, which handles administrative work for the federal government, is trying to work out a lease deal for Trump Tower, Knoller reports. The Secret Service traditionally protects a president's permanent home. While Mr. Trump moved to the White House in January, his wife, Melania, and 11-year-old son, Barron, stayed in Trump Tower until early June. Mr. Trump has not visited Trump Tower since taking office. According to The Washington Post, which first reported the story, the command post has been operating out of a trailer on the sidewalk since early July. It's unclear what, exactly, is the lease dispute. The U.S. military is paying $130,000 a month to lease space in Trump Tower, The Wall Street Journal reported in July. That space is expected to be used as the White House military office.